We are Drupal designers and developers. PixelJets is a small team, that is engaged in the creation of eye-catching Drupal projects. We love our work. This love encompasses the projects we’re creating. All of our projects are done thoroughly, have well thought-out architecture, and are ready for long-term maintenance. This is what allows us to extend project functionality without causing you headaches afterwards. We are well aware of what the web-standards are, but we don’t live by them since we believe that each rule can have multiple exceptions. As a result of our methods, our clients get positive solutions that work stably, sell products, amaze customers and make a good showing: good sites, good graphics, good code. We understand what consumers want, because our designers and developers communicate directly with our clients (we add Anton Sidashin as project manager if it’s neccessary - for bigger projects). We don’t pay the wages of a dozen managers, three directors, and two bookkeepers and then include this into the price of your project. That’s why our rates are so affordable. We have extremely well organized task management, a close-knit team, and a deep sense of responsibility. That’s why you can be sure that we will provide you with the best work possible and that we won’t disappear in the middle of the project. We have been creating Drupal projects since 2005. We have completed more than 50 Drupal projects to date. We contribute back to the Community - check Anton Sidashin profile on drupal.org to see the list of modules, themes and patches. Pixeljets also helped local Russian Drupal community by creating new design for drupal.ru website. You can also read our blog where lots of bleeding-edge Drupal development tricks are discussed. 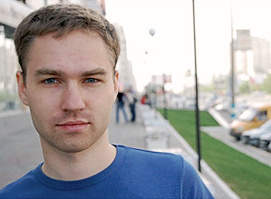 Oleg Sidashin — senior designer, co-founder. 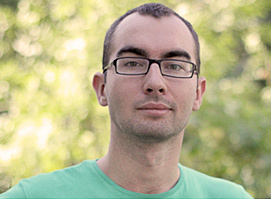 Anton Sidashin — senior developer, co-founder.